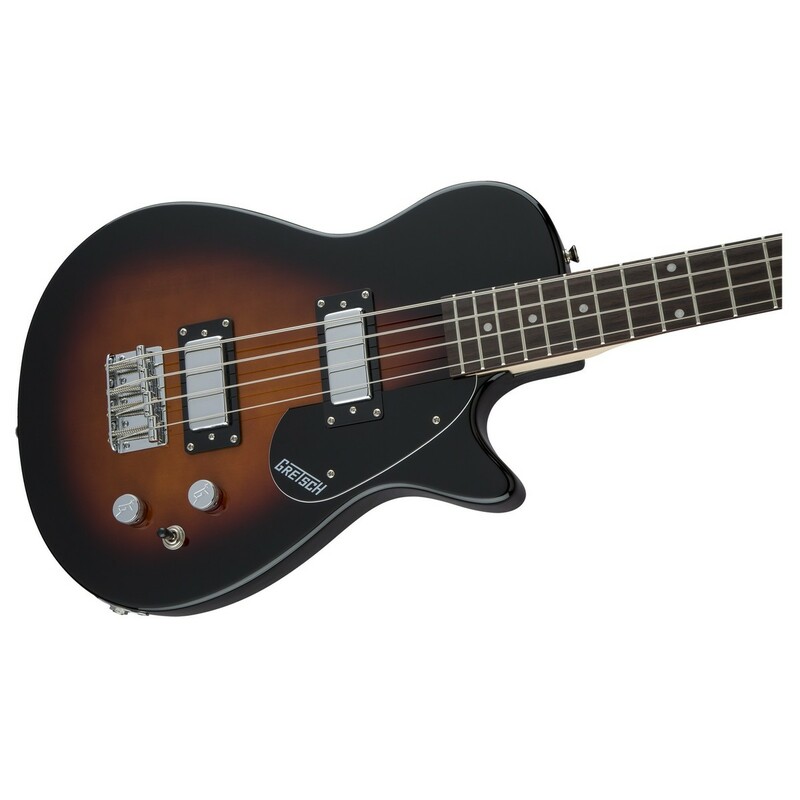 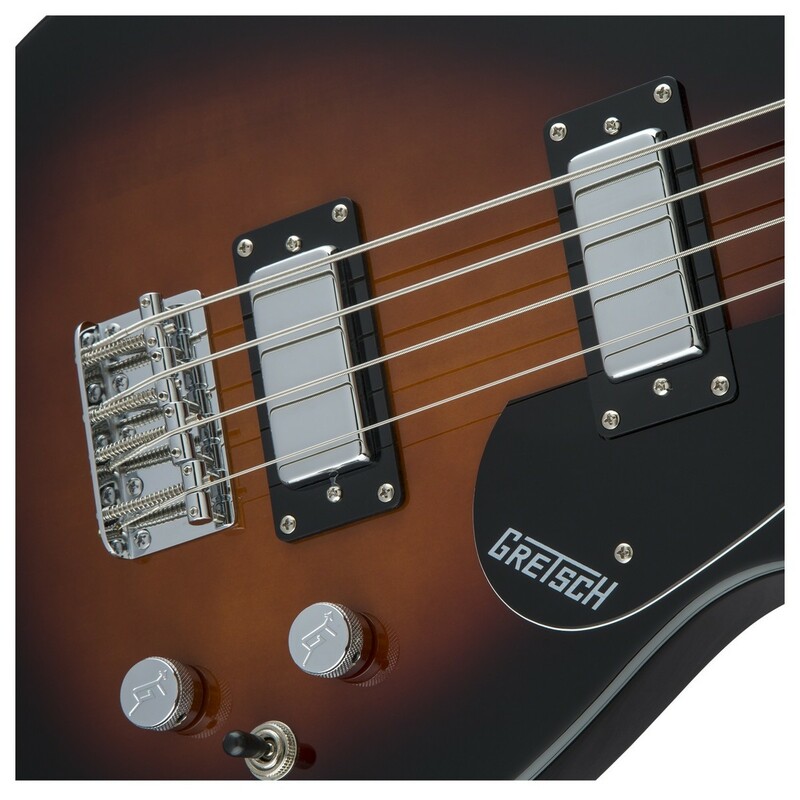 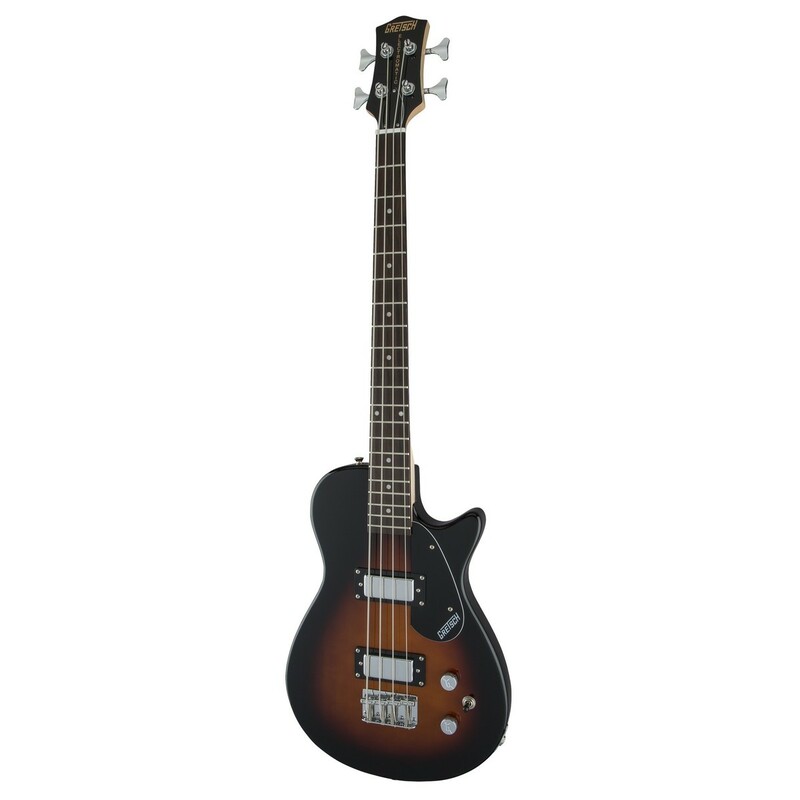 The Gretsch G2224 Junior Jet Bass II bass guitar has a comfortable short scale at 30.3", and a basswood body finished in Tobacco Sunburst with two Gretsch mini dual-coil pickups that are capable of filling a room with massive subsonic tones. 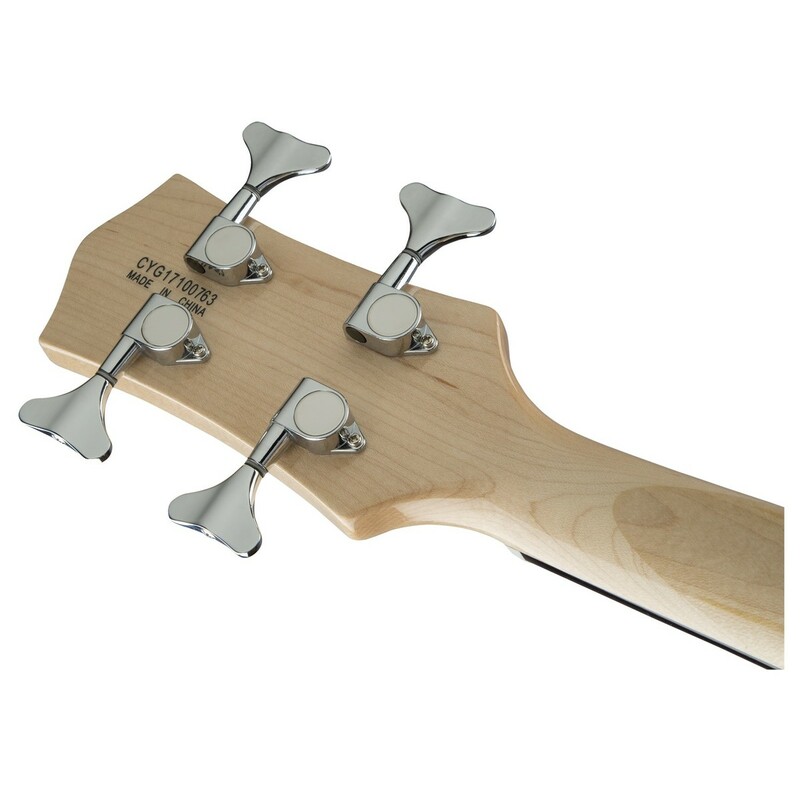 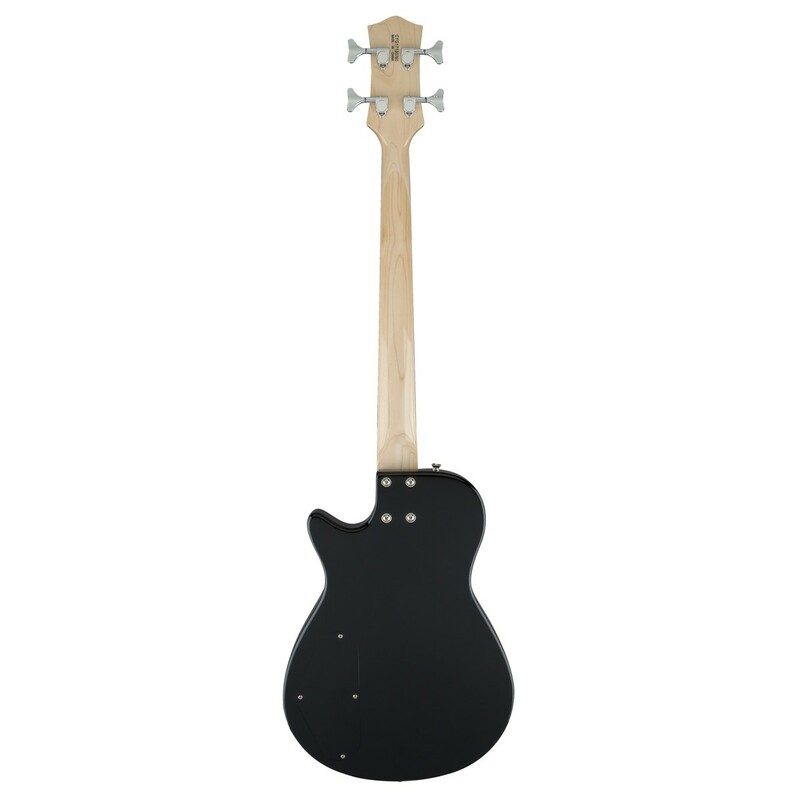 The G2224 features a maple neck topped with a rosewood fingerboard with 20 medium jumbo frets and dot position inlays. 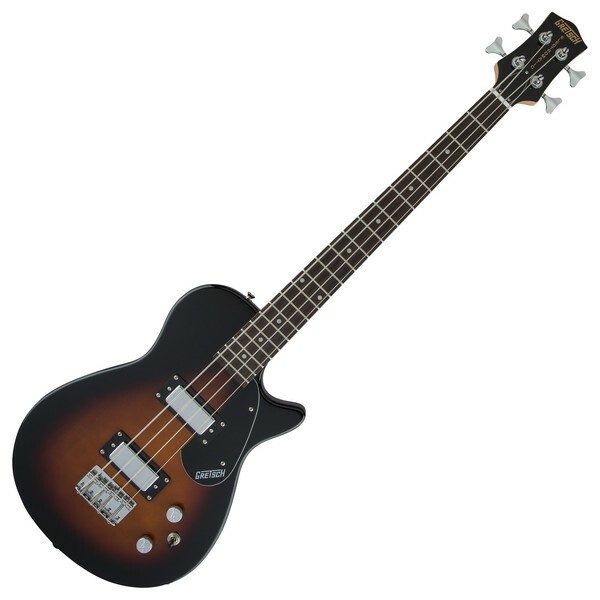 Other features on this guitar include a four-saddle bridge, a black Gretsch-logo pickguard, and enclosed die-cast tuners.